AVAILABLE AND NO LONGER PART OF ROCKLIN AFFORDABLE HOUSING PROGRAM WHICH MEANS NO INCOME RESTRICTIONS ON THIS UNIT. 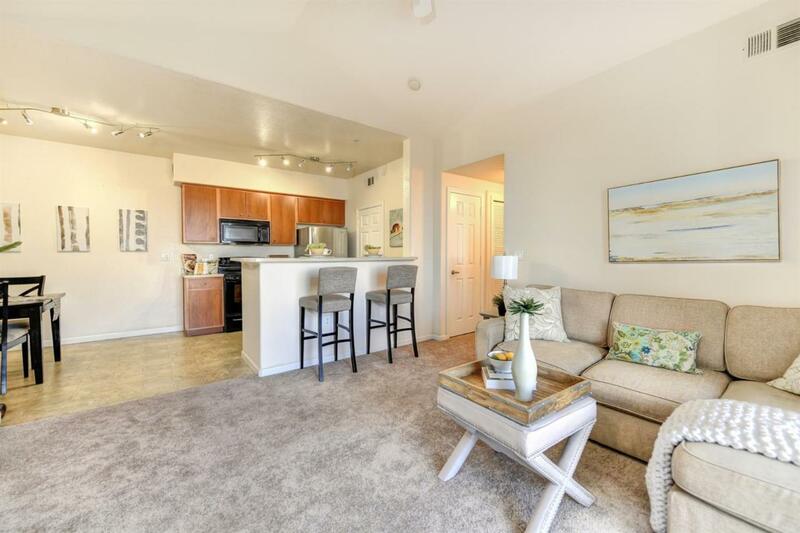 Well cared for 2 bd 2bth condo at Vicara in Whitney Ranch. Features include new carpet, spacious family room with vaulted ceiling, dining bar, s.s appliances, pantry, indoor laundry, walk-in master closet, balcony with amazing elevated view, highly rated Rocklin schools, walking distance to Whitney Community Park, min from Hwy 65/shopping/restaurants and more!